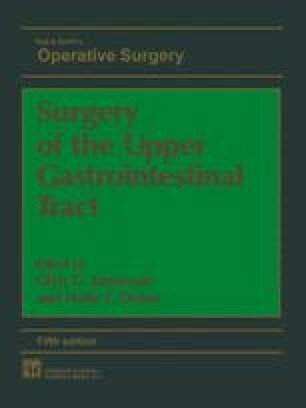 The use of the stomach as an oesophageal substitute was introduced by Kirschner in 1920 as a non-resectional operative bypass. His operation consisted of skeletonization of the greater curvature of the stomach, and the mobilized stomach was then brought subcutaneously up to the divided cervical oesophagus. The application of this procedure using either the orthotopic or the retrosternal route after oesophagectomy and the standardization of this method was largely due to the work of Ong, Nakayama and Akiyamal.